Please browse the books below and add either a hard copy or eBook to your cart before you try and checkout. Prior to beginning an Academic career Patrick was employed by the Commonwealth Scientific and Industrial Research Organisation in various research capacities. He began his academic career in 1976 and has been involved in teaching and research in the areas of grape and wine chemistry for over 40 years. At Roseworthy Agricultural College (1976-1992) he lectured in a range of subject topics including wine chemistry, viticulture and sensory evaluation. During this time he completed a Masters Degree in Viticulture investigating aspects of acidity and colour development in grapes. In this research he studied the effects of viticultural practices on grape and wine colour of Shiraz and Pinot Noir. Later, his interest in the links between grapes and wines was extended through his PhD studies where he developed a method for measuring grape colour. 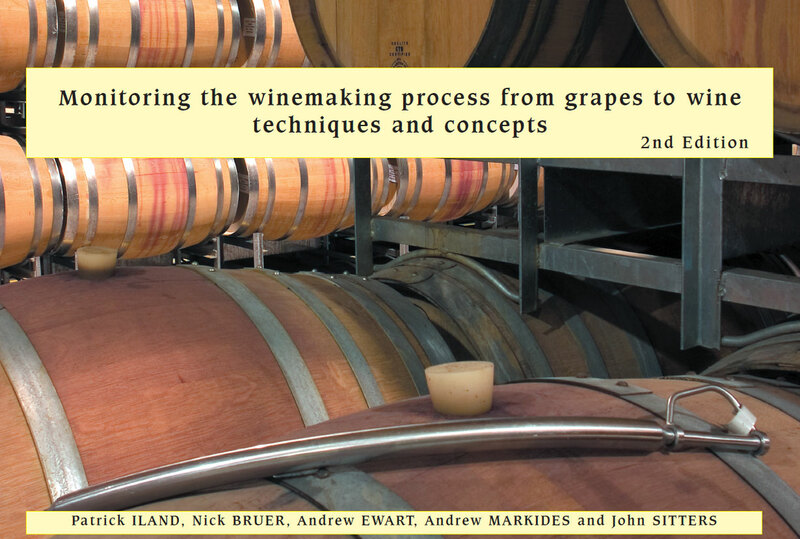 This method is now used in the Australian wine industry for research purposes and by the larger wine companies to aid in assessing the suitability of a batch of fruit for specific wine styles. When Roseworthy Agricultural College amalgamated with The University of Adelaide in 1991, he joined the Viticulture group in the new Department of Horticulture, Viticulture and Oenology as a Senior Lecturer in Viticulture. There his research focused on studies aimed at gaining an understanding of the chemistry and sensory aspects of tannins in grapes and wines. In 2002 he retired from the University but remains involved with the University through his role as the inaugural Patron of The University of Adelaide Wine Alumni. Patrick has a strong interest in and commitment to wine education. He and his wife Judith conduct a publishing business (Patrick Iland Wine Promotions) specialising in educational wine books. 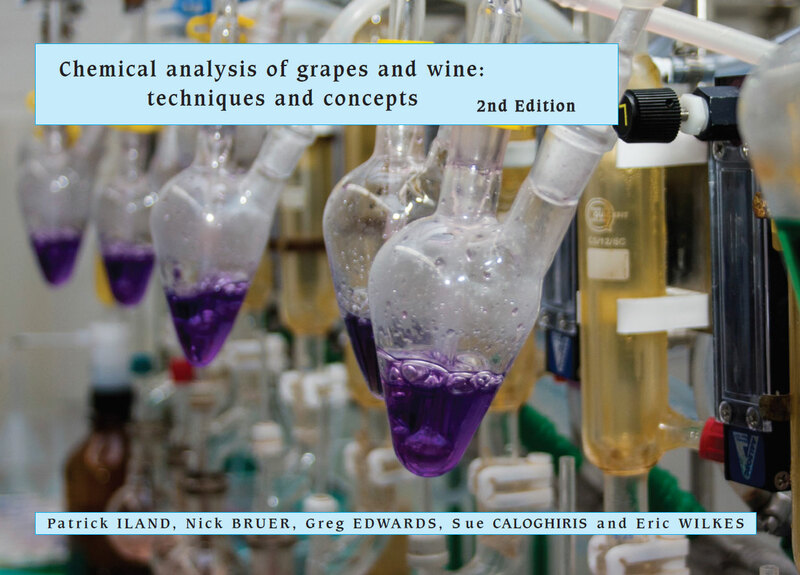 The technical books are texts in viticulture and wine courses at universities and technical colleges, both in Australia and internationally. The general wine books are used widely in training courses and by wine enthusiasts. 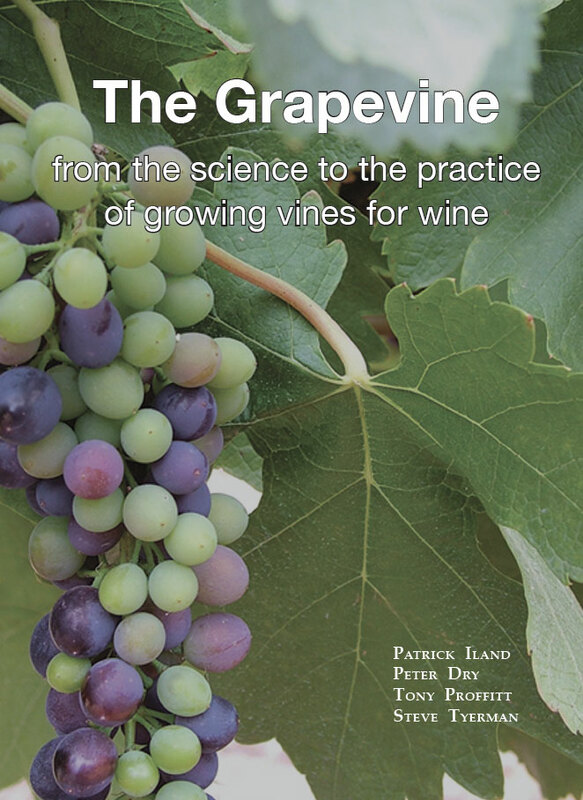 Patrick Iland Wine Promotions has received international awards from the OIV (Organisation Internationale of vine and wine) for two of the books — the ‘A Taste of the World of Wine’ and ‘The Grapevine: from the science to the practice of growing vines for wine’. Patrick has received many awards throughout his career. He has been awarded the Order of Australia (OAM) for his services to The Australian Society of Viticulture and Oenology and the Australian wine industry. He is a past winner of The Vin de Champagne Award, the Stephen Hickinbotham Memorial Trust Award (for his research on Pinot Noir grapes and wines), the Stephen Cole The Elder Award for Excellence in Teaching awarded by The University of Adelaide and the Wine Communicators of Australia ‘Legend of the Vine’ award for outstanding contribution to the wine business and industry at large. Patrick is a Fellow of The Australian Society of Viticulture and Oenology. He is an Honorary Member of the Interwinery Analysis Group. Peter Gago (BSc(Ed)[Melb], BAppSc(Oen)[RAC]) was drawn to the wine industry after eight rewarding years of teaching. A degree in oenology at Roseworthy Agricultural College followed, graduating dux of course. English born, Australian educated, Peter lives and breathes wine. In 1989 he joined the then Penfolds Wine Group, working for four years as a sparkling winemaker, before moving to its Red Wine Department to become the Penfolds Oenologist. In 2002 he was promoted to his current role, Penfolds Chief Winemaker. An avid wine collector and taster, he believes it is essential for a winemaker to gain an intimate appreciation of wine style differences and an understanding of a wine¹s development with time. Above all else, he advocates that wine is to be shared and enjoyed. Peter spends a significant portion of each year travelling extensively to diverse parts of the world spreading the word about wine in every conceivable forum. Awards cherished by Peter include Winemaker of the Year by the U.S. Wine Enthusiast Magazine (2005), the Winemaker's Winemaker by the Institute of Masters of Wine & Drinks Business Magazine (2012), Gourmet Traveller Wine Magazine Winemaker of the Year and Len Evans Award for Leadership (2014), Baron of the Barossa (2015), Bragg Membership of the Royal Institution of Australia (2016) and the Companion of the Order of Australia (AC) awarded in 2017 for his outstanding services to the Australian wine industry. Andrew Caillard MW is one of Australia's leading authorities on wine and a key figure in shaping Australia's fine wine agenda for over 25 years. He is a graduate of Roseworthy Agricultural College and a Master of Wine. He is the co-founder of Langton's, the leading wine auction house in the country. 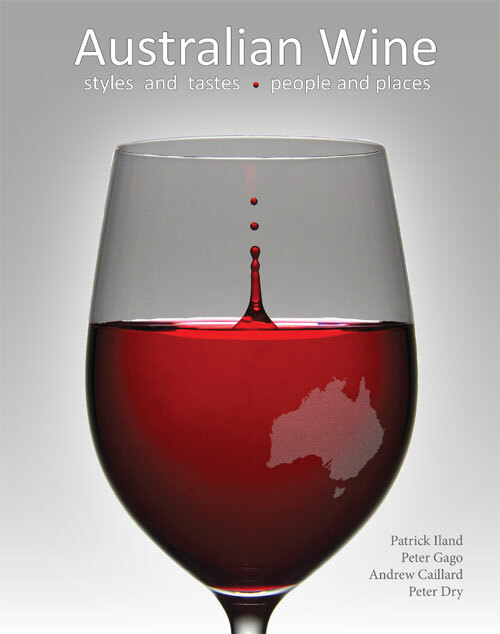 He authors Langton's Classification of Australian Wine, now in its 6th edition. Andrew's primary role is Fine Wine Principal of Australia's largest retail group, which involves significant engagement with Australia's wine industry and the international wine market. Andrew is a longstanding columnist and tasting panellist for Australia's Gourmet Traveller Wine Magazine. He also writes for many other publications. He chairs Shanghai's Wine 100 competition and judges at the Japan Wine Challenge. He is also the author of the reference book Penfolds the Rewards of Patience now in its seventh edition. His work as an author, writer and influencer was recognised in 2011 when he won the Australian Wine Communicator of the Year Award. Andrew is also a Baron of the Barossa and the associate producer of the Australian Academy Award-winning feature documentary Red Obsession (2012). Together with his wife Bobby, Andrew is a Barossa wine producer. Their Caillard Mataro (and Shiraz), which feature Andrew's paintings on the label, is a micro-wine production that is seen in many of Australia's top restaurants and specialist wine merchants. Dr Peter Dry (BAgSc, MAgSc, PhD) has been a viticultural scientist for 40 years. He started his career in the SA Department of Agriculture in 1970. His academic career commenced at Roseworthy Agricultural College in 1975 and continued at The University of Adelaide from 1990. He retired from the University as Associate Professor in 2008. Since that time, he has been a part-time viticulture consultant at the Australian Wine Research Institute, where he has been able to continue his passion for the transfer of scientific and technical knowledge to the grape and wine industry. Although his research has been wide-ranging, he is perhaps best known for the development of the partial rootzone drying (PRD) irrigation strategy in 2001, this was named as one of the 100 most-important technological innovations of the 20th century in Australia by the Australian Academy of Technological Sciences and Engineering. This strategy evolved from initial research on the water stress physiology of the grapevine. He is the author of many scientific and popular publications on viticulture and wine. Dr Tony Proffitt (BSc, MSc, PhD, Post-graduate Dip. in Viticulture) commenced his career in agricultural science during the 1980s. He has worked in the technical, consultancy, extension and educational sectors of the Australian wine industry since 1995. He spent five years with Southcorp Wines (now known as Treasury Wine Estates) and then joined AHA Viticulture, a vineyard management and consultancy company based in the Margaret River region, Western Australia. Tony continues to work as a consultant viticulturist. He is best known for his work using and promoting the Precision Viticulture suite of tools for vineyard management. In 2006 he co-authored the book entitled Precision Viticulture a new era in vineyard management and wine production. Tony has a strong interest in education, having been employed as a lecturer in viticulture at Curtin University Western Australia. He is the author of many scientific papers and industry articles which have been published in a range of peer-reviewed and popular viticultural, agricultural and soil science journals. Professor Stephen Tyerman (BSc Hons, PhD, FAA) is a leading scientist in the field of plant physiology. He was elected as a Fellow of the Australian Academy of Science in 2003. He has won many awards for his research, including, in 2007, the prestigious Australian Research Council Professorial Fellowship. He has researched nutrition, salinity and water relations in plants for some 25 years and published in journals such as Nature, Science and the Proceedings of the National Academy of Sciences. In 2001 Steve was appointed to the Wine Industry Chair of Viticulture at The University of Adelaide. Since then he has led research on vine and berry water relations and vine drought tolerance. He teaches in all levels of viticulture education in the School of Agriculture, Food and Wine at The University of Adelaide. Climate change impacts and adaptation in viticulture are drivers for his research, and he is currently the program leader in Water for Primary Industries Research Network within the National Climate Change Adaptation Research Facility. Nick has degrees in Chemical Engineering from The University of Adelaide and in Wine Science from Charles Sturt University. He worked for 12 years as an oenologist and technical services specialist with The Australian Wine Research Institute, before leaving to concentrate on his winemaking career. He joined Orlando Wine in 2001, where he is currently Senior Red Winemaker. Greg has an Honours degree in Chemical Technology from the University of South Australia. He worked as a chemist and laboratory manager with the Yalumba Wine Company for over 17 years in the areas of laboratory quality management and methods development. Greg is currently the laboratory manager at Vinpac International. Sue has a Graduate Diploma in Management from the University of South Australia. She has more than 20 years experience in winery laboratories, including 14 years in the analytical service laboratory of The Australian Wine Research Institute. She is now a director of Bibber International which provide several services to the wine industry. Eric has a PhD in Chemistry from the University of Newcastle. He has been Group Chemist at the Wolf Blass Winery, Global Manager Analytical Services with the Fosters Wine Group and National Technical Manager with P&N Beverages in Sydney where he had responsibility for new product development, product QA and compliance. He is now Group Manager Commercial Services at The Australian Wine Research Institute. With a PhD in Microbiology from The University of New South Wales, Andrew has devoted more than 20 years service as a university academic at Charles Sturt University, Roseworthy Agricultural College and The University of Adelaide, teaching wine microbiology and winemaking. From 2001 Andrew worked with the Lallemand Biotechnology Group for 11 years. Now retired from this group, he continues to service the wine industry through his microbiology expertise. John has a degree in Applied Science (Wine Science) from Charles Sturt University. He has over 20 years experience in laboratory management. He has gained extensive expertise in quality control practices in both the cellar and laboratory during his time as a Senior Technical Officer at Roseworthy Agricultural College and The University of Adelaide. Paul is a graduate of The University of Adelaide (B.Sc,and PhD) and Roseworthy Agricultural College (Grad. DipWine). Paul has 17 years experience in the wine industry in production, consulting, research and teaching. He has worked at The Australian Wine Research Institute and Charles Sturt University (Lecturer in Wine Microbiology). Paul is currently an Associate Professor in Oenology at the University of Adelaide. Martin has a B.Sc. from Melbourne University, majoring in the areas of microbiology and biochemistry. He has worked as a research biochemist at Carlton & United Breweries Ltd. He has worked at a number of wineries and has over 30 years of winemaking experience. He now operates an oenology consultancy and laboratory specialising in problem solving. Martin lectures in Wine Microbiology and Biochemistry at La Trobe University. Leigh is a graduate of the University of Tasmania (B. App.Sc in Medical Laboratory Science, majoring in microbiology and biochemistry and a M. App. Sc (Research)). He has taught microbiology at the University of Tasmania and worked as a chemist/ microbiologist at Southcorp Wines. 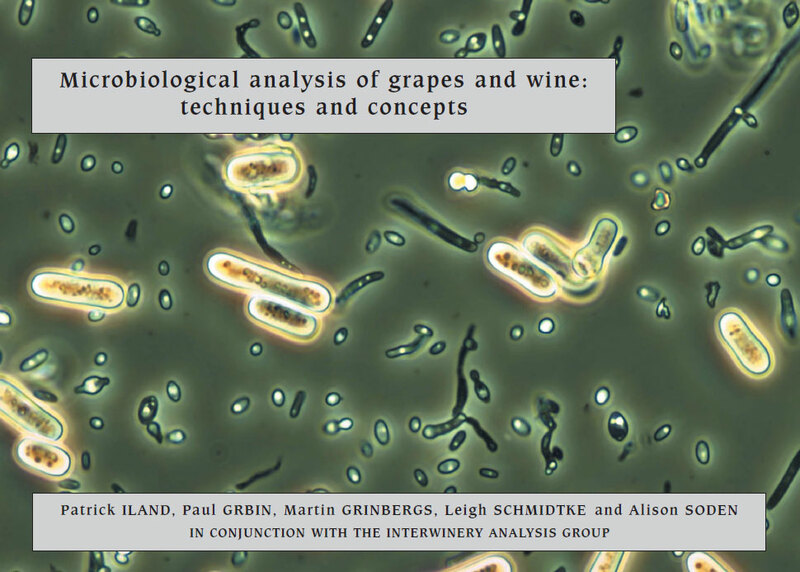 Leigh is currently a Lecturer in Wine Microbiology at Charles Sturt University.